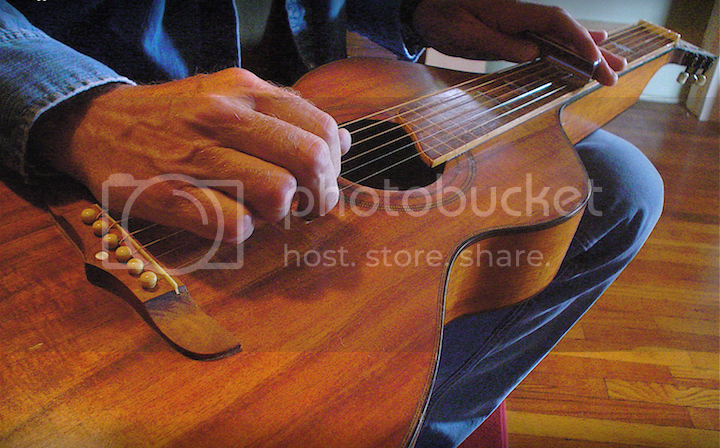 John Higgins has been playing the guitar and various other stringed instruments (pedal steel, mandolin, dobro) for fifty-plus years…and he has been building, repairing, and restoring guitars for forty years. During that time, he has had over twelve thousand instruments pass over his bench, including some of the finest guitars, mandolins, and banjos ever built. It’s this wide ranging experience that led him to develop the unique Irish bouzouki that Richard Gannaway plays in the music of AO. The design changes that Higgins brings to his signature bouzoukis result in a fuller tone with extended bass, as well as considerable volume. He also builds Richard’s 5-string banjos, and is presently doing restoration work for the Hartenberger World Music Collection. When John isn’t custom building or rebuilding priceless acoustic instruments, he is performing with any one of five St. Louis-based music ensembles, all fortified with extraordinary, veteran talent, such as Cave States, Liquid Gold and Diesel Island. Gannaway met John in 1974, along with Tom Wood and John Hilleren, the four of whom co-founded the Homegrown Harvest Band, touring throughout the Midwest and parts of Northwestern US until around 1980. John can be heard playing mandolin on AO’s 2000 debut album release Grow Wild, and he is a long-standing Folk Music artist in the Sheldon Educational Program (“The Melting Pot” and “The Music of Lewis and Clark”). Check out some of the beautiful instruments on John Higgins’ bench cue here!